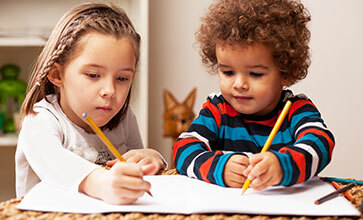 Preparing your child for their upcoming years at an early age is critical. This helps with developing the appropriate skills that will allow them to thrive throughout life. At Faith Nursery School, we not only strive to assist with early learning and development, we build a strong bond with both them and you to help them become the best they can be. To ensure your little one is absorbing all they can, our programs are focused on an emergent curriculum that is based on your children's needs and interests. 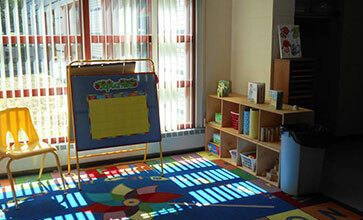 This aligns with the Rhode Island Early Learning and Development standards, as well as NAEYC criteria. Prepare your child for their next step in life. Established in 1992 in Cranston, Rhode Island, as a ministry of the Faith Presbyterian Church, our preschool caters to children aged three to five years old. As an evangelical church, Faith Presbyterian has long been involved in outreach programs to bring spiritual and practical help to those in need and members of the community. In June 2013, Faith Nursery School incorporated as an independent Christian preschool becoming a 503(c)(3) nonprofit corporation. To this day, we continue to uphold the tradition of our uniquely Christian preschool. Monday – Friday, 8:30 a.m. – 1:30 p.m.